The Back Bay is one of Boston's most beautiful and walkable areas, featuring stately brownstones and spacious, shady promenades. Also one of the most desirable and fashionable neighborhoods in the city, the Back Bay is centered on Newbury and Boylston Streets, home to upscale shops, sidewalk cafes, exotic florists, hotels, art galleries and people from all corners of the world. 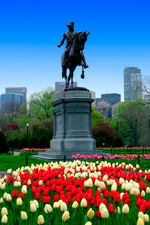 Other major points of interest are Copley Square, the Boston Public Library, the Public Garden, John Hancock Building, the Prudential Center, Copley Place, Commonwealth Avenue, the Hynes Convention Center and the beautiful Christian Science Plaza. 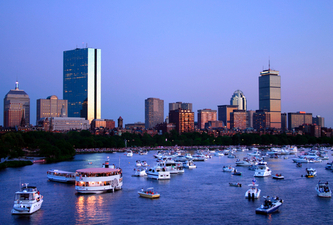 Many of Boston's best restaurants, hotels, shopping and night life, can be found in the Back Bay.